Which is annoying recently as it makes some of the best whisky in the world. It tells no marketing stories or puts out slick branding stuff, as it spends all its efforts on good inputs – barley, plenty of people, quality casks. But it remains a smallish operation, and consequently the whisky it makes seldom drifts to these shores. However, the Highlander Inn in Speyside, which is run by Tatsuya Minagawa, does have some bottles. That name, you may have gathered, is not your typical Speyside name – as he originates from Japan and has run this fantastic bar since 2015. 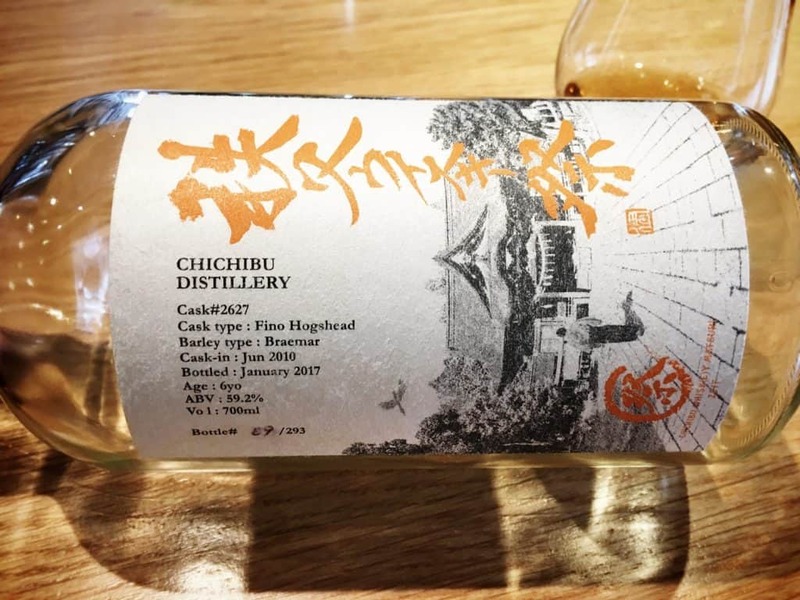 The connections to Japan have seen the Highlander Inn acquire some very unusual Chichibu whisky bottles, and while I was up there recently for the Spirit of Speyside Festival I made some time to get to know two of these bottlings. Cask #3292, Imperial Stout Barrel. Barley type: Tipple. Bottled in 2015 at 3 years of age, and at 57.6% ABV. On the nose: the stout is very obvious – both unusual and pleasant. Citrus – lime marmalade. Maltiness is prominent, and it drifts into a game meat, baked ham, olive and yeasty (wholemeal bread) territory. In the mouth: Oily, but with a dry bite. Umami, savoury quality, with cherries and that heavy maltiness once again. Very fresh. Damsons. Velvety pinot noir, warming ginger and returning to an oily finish. On the nose: redcurrant, blackberries and raisins. Very strong undercurrent of barley (a barley-driven spirit). Cinnamon, vanilla, maple syrup with pencil shavings and a huge toffee cream sensation. Imagine 20 year old Oloroso GlenDronach, only this is a 6 year old whisky. In the mouth: tart and tannic, but very heavy on blackberries. Thin texture for a Chichibu, but still with a pleasing viscosity. Woody, with fennel and HP sauce. Dates and plum jam. Charred meats drizzled in honey. Hoi sin sauce. Tart bitterness with cigar notes, or tobacco, on the finish. Epic, to say the least. First thing to note is that these are young whiskies – the Imperial Stout Barrel being only 3 years of age – and yet they have more flavour and complexity than a lot of the whisky I’ve been drinking recently. (I’ve mentioned this before, but Scotch in particular seems to be plagued by poor casks for the most part, and certainly has suffered from a good decade of efficiency savings in production methods in order to cope with rising demand. 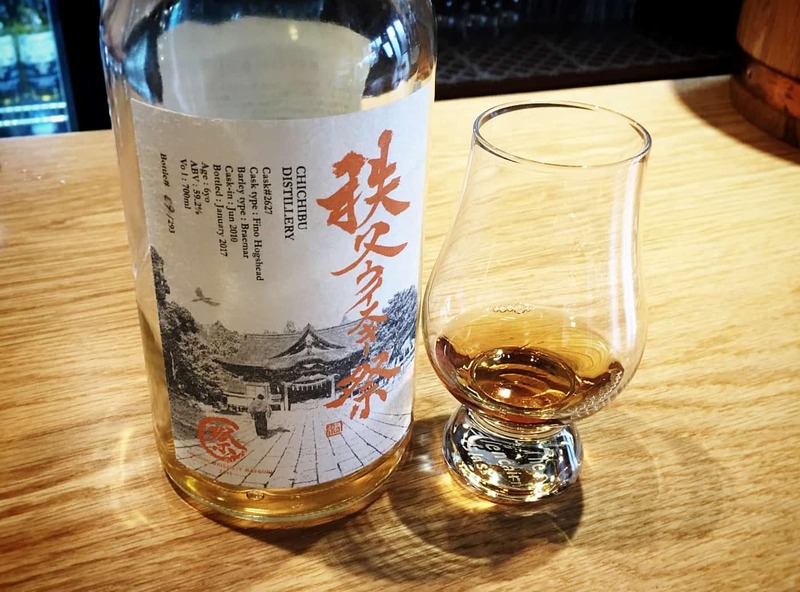 Both of these Chichibus are excellent whiskies – there’s no doubt about it. If you can get to the Highlander Inn, then it’s definitely worth experiencing. 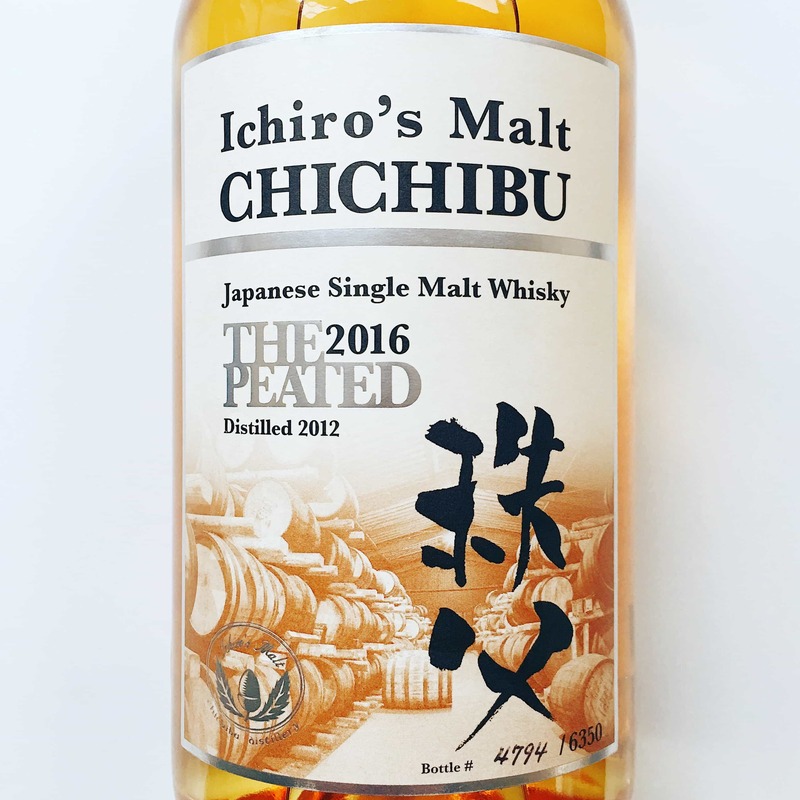 Though I think I finished the Matsuri 2017 Fino Hogshead – sorry. 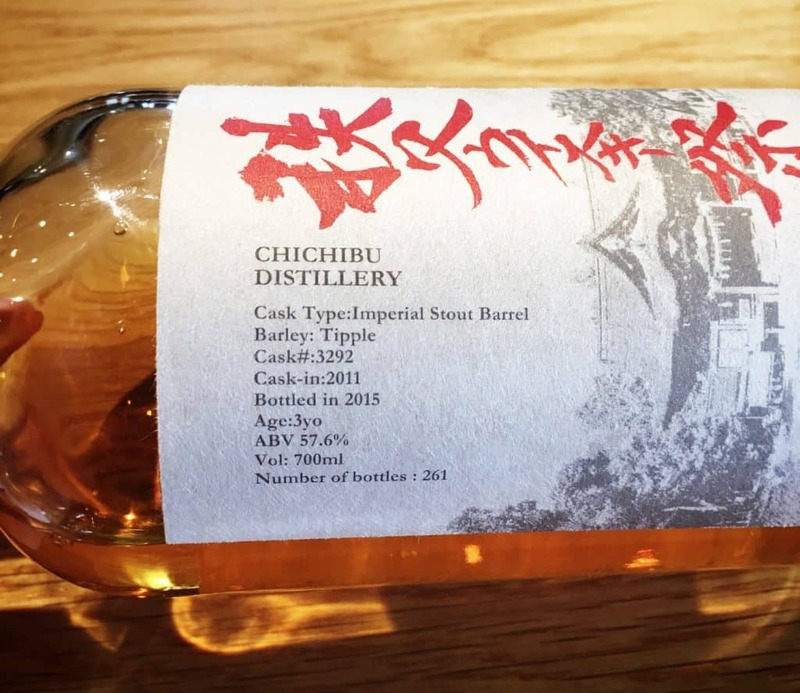 And none of this alters my opinion in the slightest that Chichibu is one of the best distilleries in the world.